It's SDCC 2014 and lots of news are coming from the convention! Mezco Toys have announced that they will be doing a new line of 6 inch Mortal Kombat figures. They also mentioned that the figures will have about 17-20 points of articulation and that we will get our first look sometime in February 2015. 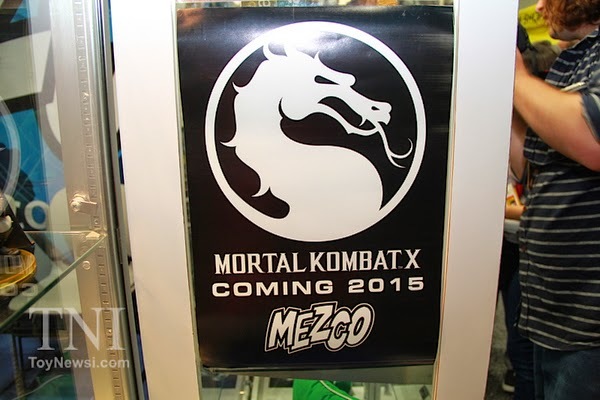 No other details unfortunately but based on the pic taken at their booth, the figures will be based on Mortal Kombat X. Small scale figures have been a huge disappointment for a Mortal Kombat fan like me, for many years. So, I'm kind of lowering my expectations for this but at the same time, hoping for some real quality figures. Let's see how they turn out.. But please make a Kotal Kahn!